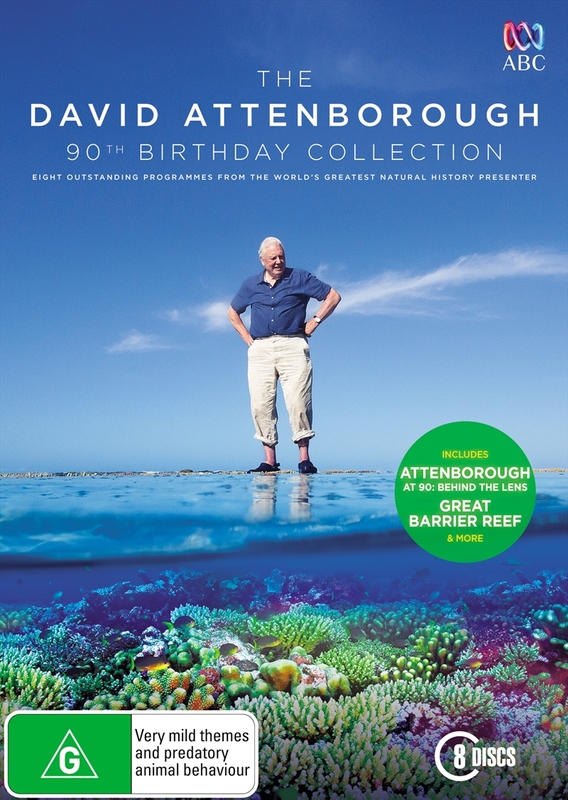 David Attenborough's 90th Birthday Collection, Documentary DVD - On Sale Now With Fast Shipping! The world’s most revered natural history presenter David Attenborough takes us on an extraordinary journey to discover the wonders of the natural world. Included are award-winning programmes using pioneering technology that take the viewer across the globe, from the wild shores of the Galápagos to the frozen fossil beds of China to the most stunning and remote parts of the Great Barrier Reef. And in celebration of Attenborough’s 90th birthday, included is Attenborough at 90: Behind the Lens, an intimate and revealing film that explores an extraordinary chapter of his career.